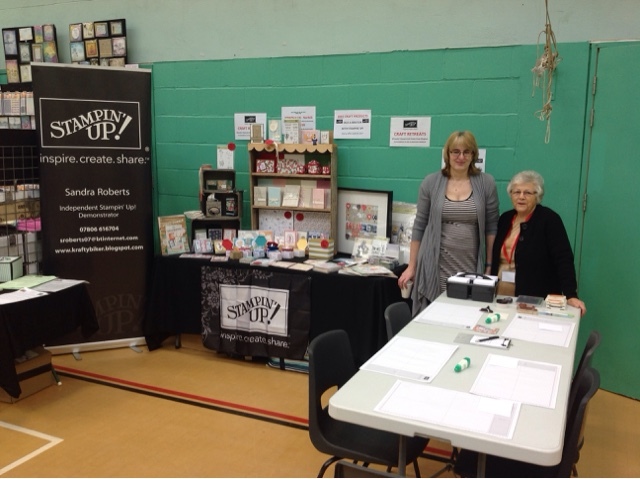 It was lovely to catch up with so many crafters yesterday at the Sincerely Yours Craft show in Thetford. I have to pass on my huge thanks to Cheryl, one of my downline team who was joining us for the first time. She holds classes in Burwell and Newmarket area, so please pass on to any crafting friends or family in the area. She made an excellent job of creating those beautiful Hexagon Window boxes on display. Then of course thanks to our lovely Val, who helped everyone with their Make & Takes all day. Such a wonderful lady, my unofficial 'adopted' Mum, who loves meeting people. Over 100 of ou entered our FREE Prize Draw. The lucky winner, drawn by our neighbouring stall holder, was Linda from Wymondham, who can look forward to having her prize delivered over the next few days. Don't forget to add Sunday 3rd September in our diaries for the Sincerely Yours Autumn show. See you there with a lovely display of Festive projects from NEW Annual and Autumn/Winter catalogues. Our Make and Take table busy and others patiently waiting to go next. Following our Christmas team meal last night, we had 6 stay for a fun sleep-over ! Today, we held our first team shoebox swap of 2017, with 9 taking part in person and a further 3 joining us by post, plus an extra set made for a last minute 'elderly parent nursing' cancellation. Last years bi-monthly shoebox swaps were held in the evening, which we found restricted some of the team from joining in. 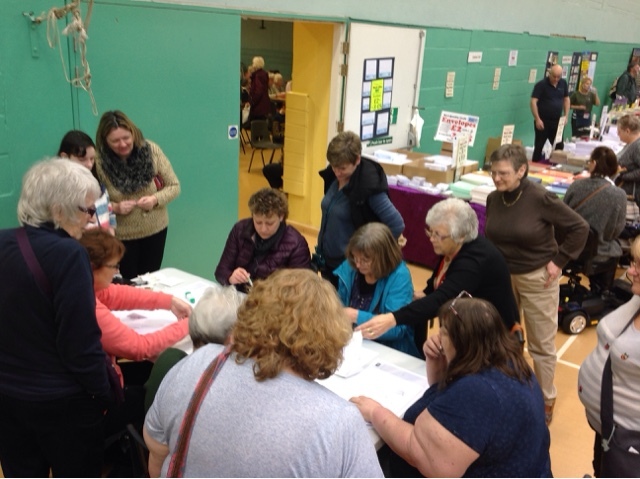 All those who took part in our first 'all day' event, had a lovely day and lovely forward to the next one in May. 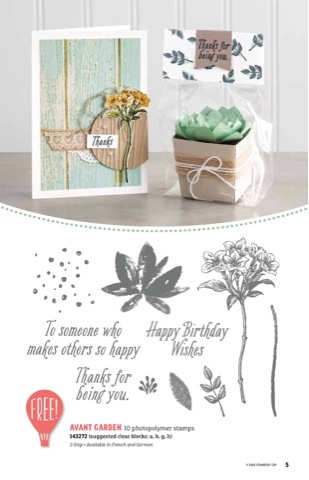 Our swap theme this month was 'Sale-A-Bration' and this is the swap I prepared kits for fellow Demonstrator team to make, highlighting the Avant Garden stamp set #143272. Remember that Sale-A-Bration is running until 31st March with every £45 spent, earning a FREE Sale-A-Bration product. Such a fabulous time of the year. Please follow link below to my Online Shop to place an order and view catalogues. You can also click on the catalogue images at the right hand side of this blog. Are you a Wimbledon fan ? Do you like a nice Strawberry Cream Tea ? Do you love crafting ? Last year I wanted to schedule a Strawberry Cream Tea & Craft at my Studio, but life's events got in the way. So, when I saw the Fruit Stand Designer Series Paper #141660, I knew this would be the year if definitely happened !! I am currently taking bookings for Sunday 25th June and Sunday 9th July to celebrate in style. 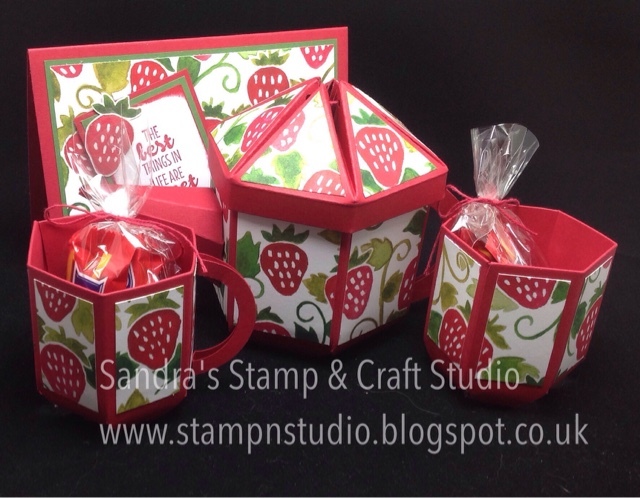 Here are some strawberry themed projects I've just finished making to display at the Sincerely Yours Craft Show tomorrow, using these delightful Designer Series Papers, taking inspiration from other Demonstrators online and adding my own style. 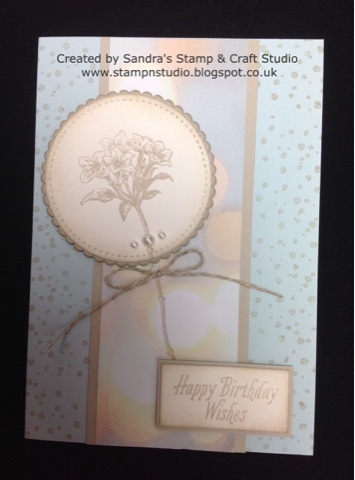 I have some lovely news for you ..........The highlight of the Stampin' Up! calendar is here and today launches two ***NEW*** catalogues, the Spring / Summer seasonal catalogue and Sale-A-Bration brochure. Sale-A-Bration is my favourite time of year as I love seeing my customers enjoy earning a FREE Sale-A-Bration craft item of their choice from the brochure for every purchase of £45 or more you spend. The best bit ..... number of free items you can earn.there is NO LIMIT to the number of free items you can earn. If you don’t already have a copy of these catalogues and would like one, please send me a quick message and I have some bagged up and ready to address to you. My new class schedule for 2017 will be included too. There will be lots of additional information over the next few days however, in the meantime, to view these catalogues simply click on the images on the right-hand side bar. If you love what you see and possibly have a long wish list, you may like to think about hosting our own workshop/party with a few crafty friends or join my growing team as an Independent Demonstrator, as there are even more rewards for you during Sale-A-Bration. Please feel free to get in touch for more details. number of free items you can earn.